John McCormick writes: It’s appropriate as we look towards Hull, well known Capital of Culture, that we get into the spirit with a contribution of our own. 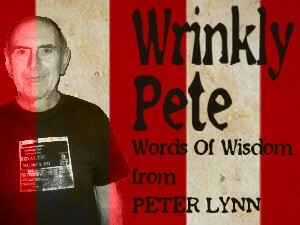 And who better to provide it than Wrinkly Pete. Has the loan system served us well, or not? What do you think? Did Danny Rose get more from us than we got from him? What about Johnny Evans (got us up, kept us up)? And what of all of those others, up to and including Grabban? Or perhaps you might be thinking of loans out – Borini, Khazri and Lens spring to mind. The full quotation – and its relevance to SAFC – follows. “Neither a borrower nor a lender be; For loan oft loses both itself and friend, And borrowing dulls the edge of husbandry. This above all: to thine ownself be true, And it must follow, as the night the day, Thou canst not then be false to any man”. I feel I may have misjudged my literary audience with my Dickens articles, so this – by Lord Polonius from Shakespeare – Hamlet Act 1- should help redress the balance. The specific relevance is in the word “false” and my opinion that the use of loan players is simply wrong. I will be the first to admit that I have loved watching the likes of Welbeck and Alonso playing for us but cannot believe that it has been for the long term benefit and development of the club. I listen to all the arguments about cost and improvement to existing players by playing alongside these superb talents but I am convinced our use of this arrangement has held us back (“to thine ownself be true”). Personally I view it as a short term fix; just like the ditching of managers. Yes, it can be argued that our removal of managers has worked in as much as (apart from last season) each time it has secured us Premier League status. However, it has meant we have had no continuity of playing style nor coaching which has, in my opinion, led to our eventual, inevitable, failure (“And it must follow, as the night the day”). In the same way, by using loan players, unless you were to permanently enlist them at the end of their loan period, it means that whatever benefit was achieved by their presence is lost when they depart. Thus – see how I am staying in favour with Monsieur Salut by avoiding starting a sentence with “so”? [I do it all the time – Ed] – although I do not wish to see us relegated again at the end of this season, I shall question the wisdom of more loan acquisitions in January. To support my argument, I draw attention to “our” recently departed Lewis Grabban. Some will say “Where would we be without his goals?” I say that we would probably (still) be bottom but might just have got goals from elsewhere and have progressed the career of “one of our own” (“dulls the edge of husbandry”) rather than a “want away” loanee. Now (avoiding “so” again! 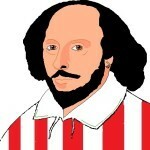 ), as my festive season was ruined by Manflu, I shall have my amusement a little late and indulge in a fun selection of best and worst loan elevens that I have seen in the ten seasons that I have been present at most of our games, courtesy of friends I have made in the Heart of England branch of SAFC Supporters Association. Over to you. Here’s a simple poll, and additional comments would be very welcome. I agree with the loan system IF it is to help in the development of young players that are not getting game time at their clubs. I would set an age limit (22/23? ), players should only be loaned to clubs lower in the pyramid to stop clubs borrowing rather than buying and stipulate the exact length of the loan with only a short recall window. If a player is recalled or chooses to leave outside this window then he would not be eligible to play for his parent clubs first team until the next transfer window has passed. There should also be a limit on how many players can be loaned (in and especially out) to stop clubs stockpiling players who they will probably never use, Chelsea being a case in point. The problem with the loan system is that it’s actually a symptom of wider problems in the game which makes the answer harder. But I voted ‘yes’ solely on balance of what I feel it’s been for Sunderland alone…but again it’s a symptom even just in our case. The one upside is that given our shocking business on the permanent transfers if we’d also bought some of the crap that came in on loan instead of just borrowing them we’d be in even worse straights! Agreed, but look at those we got on deals that required us to sign them. Coates and Alvarez spring to mind, both costly. I thought Coleman’s comments about loan to buy were interesting, with regards to the Ndong/Watford situation. Probably won’t affect us much in the Conference anyway! The sad thing is , Coates and Alvarez would walk into our current shambles, as would £odwell if he could be bothered . The problem isn’t the loan system ,but our dismal permanent signings who we can’t move on .